Oakland’s Tight Real Estate Market Is Ranked No. 1 in the Nation. Fastest Home Sales, Too. Oakland, viewed from Skyline Boulevard, looks calm and orderly. Its real estate scene is anything but. One of the striking features of the current housing market recovery has been the exceptionally tight supply of homes for sale. And nowhere else is the situation more acute than in Oakland. In fact, the Oakland metropolitan area leads the nation in the greatest reduction of housing inventory — down 59 percent in July from one year ago, according to data compiled by the website Realtor.com. Oakland homes are also No. 1 in the nation for the shortest number of days on the market – an average of just 22 days from listing to sale! Looking at the median number of days on the market, Oakland homes have been the nation’s fastest-selling since Realtor.com started tracking them in February. The tight inventory and quick sales are clear signs of the housing recovery, but they both change the rules of engagement. That means successful homebuyers need to get their financing and other paperwork in order up front and be ready to pounce when they find their dream home. They also need to be prepared for bidding wars with rival homebuyers, because multiple offers have become the standard for most reasonably priced homes in the Bay Area. The supply of homes on the market has been falling across the Bay Area for more than a year, but the pace accelerated in the early spring. The Oakland metro area has been among Realtor.com’s top five metro areas with shrinking housing inventory since November, but it moved to No. 1 in March and has stayed there ever since. July’s 59 percent decline, year over year, is three times the national average of 19 percent. The San Francisco and San Jose metro areas aren’t far behind their sister city across the bay: They also rank in the top 10 nationwide in both tight inventory and days on the market. The San Francisco and San Jose metro areas have been on the top-10 list for reduced inventories since April. San Francisco placed sixth in July with inventory down 40 percent; San Jose was fifth with inventory down 42 percent. San Francisco ranked sixth in the nation for fastest-selling homes in July, with San Jose right behind in seventh place. 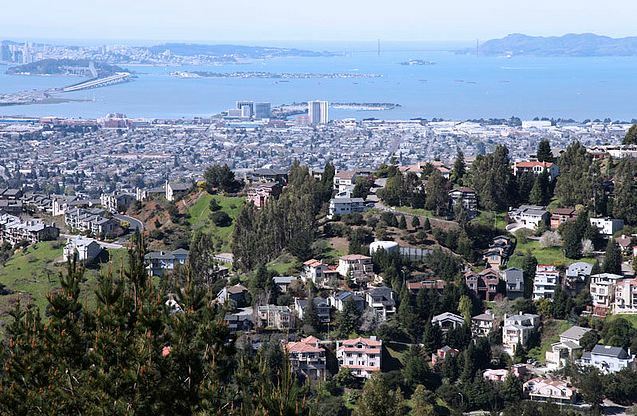 Like Oakland, both have been among the 10 fastest-selling areas since February.